It was a good day for blockbusters at the Academy Awards, as populist hits like Get Out, Dunkirk, and Logan all managed significant Oscar nominations. So why was Wonder Woman, a true summer phenomenon that made more money than any of those movies, unable to score a single Oscar nod? In a year where the industry’s treatment of women was the number-one issue at hand, shouldn’t this Patty Jenkins-directed breakthrough have done better? Yes, and no. In my mind, Wonder Woman was absolutely deserving of a Best Picture nomination, but there were still a few significant things that held the film back. Here are three theories as to why one of the biggest superhero movies of all time went totally ignored by the Academy. It wasn’t strong enough in below-the-line categories. For a genre movie to have a strong chance at the top prize, it has to be able to score a ton of tech nods, as Mad Max: Fury Road did just a few years ago. Wonder Woman simply wasn’t distinctive enough in those key categories like Best Cinematography, Best Visual Effects, and Best Production Design, and Warner Bros. already had to support two other titanic competitors in Dunkirk and Blade Runner 2049. There are few paths to Best Picture if you can’t earn at least one other Oscar nomination, and there was no category this year where Wonder Woman was a sure bet to be included. It didn’t receive the right awards-season push. For films that come out early in the year, a second phase of concerted awards-season campaigning is key. Universal, for example, took out gigantic ads in Los Angeles touting Get Out as “the movie for the world we live in today,” and the push for director Jordan Peele as a serious auteur was tremendous. That recontextualization never quite came for Wonder Woman. It didn’t feel like Warner Bros. was trying to will a Best Director nomination into being in the same way Universal did with Peele and A24 did with Lady Bird’s Greta Gerwig, and while Patty Jenkins showed up to some awards-season events, there was never that hard sell to the industry about what it would mean to nominate her, or even a clear sense of what the movie’s awards-season narrative should be. Though Gal Gadot had no shot of making this year’s competitive Best Actress lineup — even Charlize Theron couldn’t penetrate that category for Mad Max: Fury Road — I can’t help but think that if Warner Bros. had pushed her more, lobbying to get Gadot on all of those Best Actress roundtables, it would have forced voters to take the film as a whole more seriously. It had to deal with Justice League. Surely, some of Wonder Woman’s momentum was sapped when Gadot had to reprise her character just a few months after its triumphant summer run for an underperforming, ugly pile of slush called Justice League. 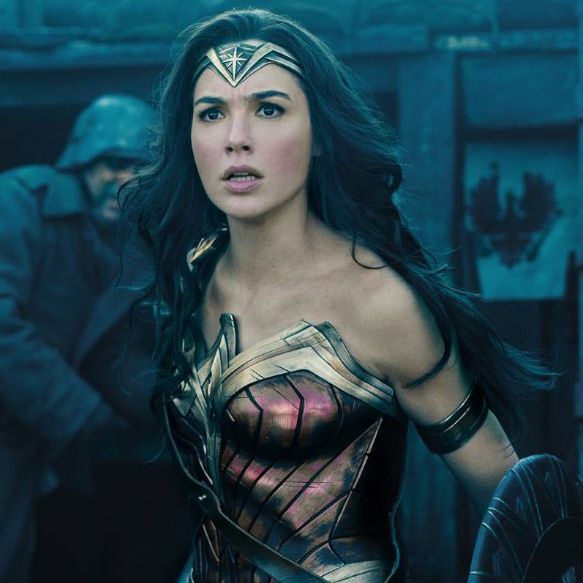 The film drained her character of vivacity and did Wonder Woman’s awards campaign no favors, since Gadot had to do an extensive press tour for it — her Justice League co-stars Ben Affleck and Henry Cavill shouldered far less of the press than they normally would — and wasn’t as available to schmooze at awards-season functions. Let’s hope things go better for Wonder Woman 2: This time, Warner Bros. can bake its awards campaign into the theatrical release, since the sequel will come out in November 2019, right in the middle of that year’s awards season.